Rock Tree. Tree of Rocks? Some days you’re the rock. Some days you’re the tree. And some days you’re…both? 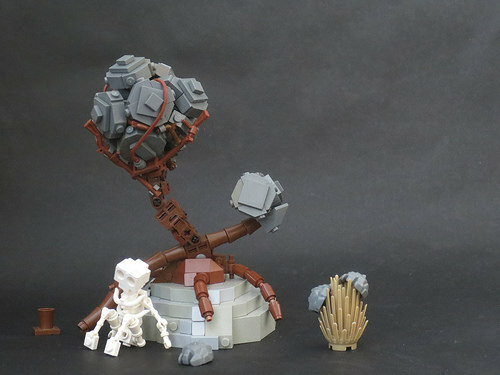 This adorable build, complete with a skeleton in repose, is brought to you by Deus Otiosus. It’s a bit of a somber build, but I like it!